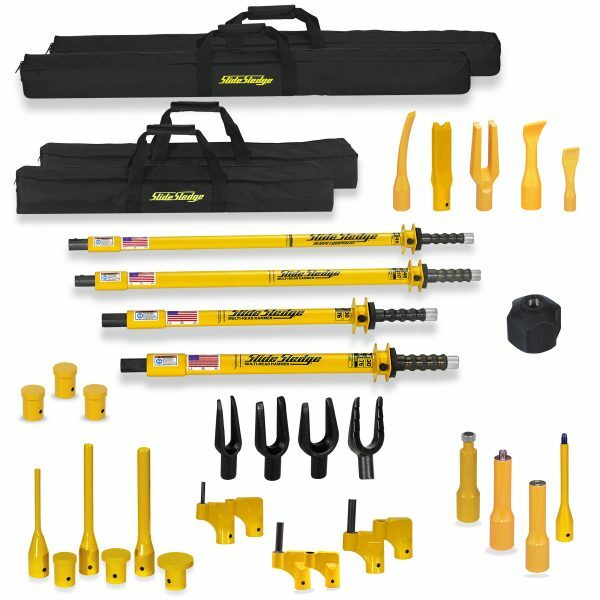 The Heavy Equipment Master Kit offers an extensive kit of all 4 of our Multi-Head Hammers and standard Slide Sledge tips. 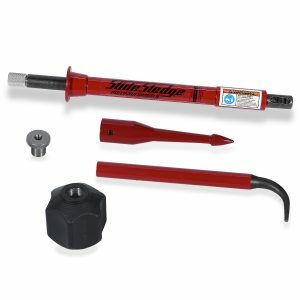 This kit can be paired with our 3-Sided Floor Display (part #211601) or Wall Mount Display (part #211602) for an easy way to display the hammers and tips that come in this kit. 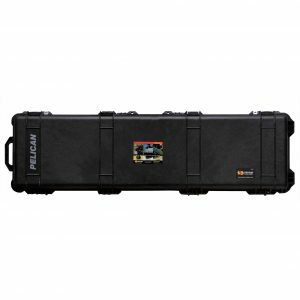 It includes 1 each of the following parts: 9 Pound 30″ Multi-Head Hammer*, 13 Pound 46″ Multi-Head Hammer*, 14 Pound 30″ Multi-Head Hammer*, 21 Pound 46″ Multi-Head Hammer*, 1/2″ Pin Driver, 7/8″ Pin Driver, 1 1/4″ Pin Driver, 2 1/2″ Pin Driver, 3″ Pin Driver, 3/4″ Bucket Tooth Inserter, 3/4″ Bucket Tooth Remover, 1/2″ Bucket Tooth Inserter, 1/2″ Bucket Tooth Remover, 3/8″ Bucket Tooth Inserter, 3/8″ Bucket Tooth Remover, Scarifier Tooth Tip, Tie Rod/Ball Joint Separator Adaptor, 11/16″ Tie Rod/Ball Joint Separator Fork, 15/16″ Tie Rod/Ball Joint Separator Fork, 1 1/8″ Tie Rod/Ball Joint Separator Fork, 1 7/16″ Tie Rod/Ball Joint Separator Fork, Bushing/Bearing/Seal Plate Driver, Bushing/Bearing/Seal Adaptor, Bushing Drive Adaptor, Utility Wedge Tip, Large Tire Bead Breaker, Small Tire Bead Breaker, Curved Chisel Tip, 5 Pound Handle Weight. 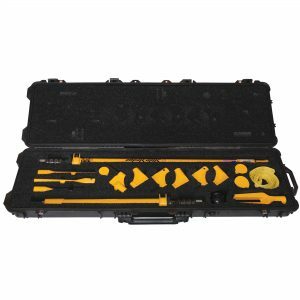 *Please note that all 4 Multi-Head Hammers come with a 2″ Pin Driver (part #213104) and a carry bag (either 211803 or 211804).